So you’ve decided it’s time to ditch the selfie and invest in some professional headshots. You need them for your social media profile photo and your website right? But why stop there? Your photos can be used in so many ways to promote your business. Do you have trouble putting faces to names? You’re not the only one. If your potential customers have picked up lots of business cards at a networking event, it’s important that you stick in their minds. This is where your photo on your business card will help people to remember your face, and recognise you instantly when you connect with them on social media or when they see you at another business event. Click on the image to see how Lee also uses her photos creatively on her website. 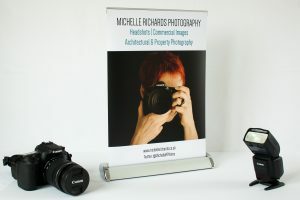 # TOP TIP: Consider the layout of your business card and how your photo will fit. Lee Townsend has a folding business card with her image on the inside, alongside details of her services. Or you may want a square image that leaves room for text. Well maybe not in lights unless you’re an actor, but you can certainly use your photos on your exhibition banner stands. This is where a phone pic isn’t up to the job, as you’ll need a high quality high resolution image to look good enlarged and printed. I’ve used a close-up on this desktop banner, but full-length images look great on full-size banners, particularly if you use it to draw attention to your key message. Although I offer a ‘headshot’ service, the shoot can be tailored to include full-length or seated images, and most photographers will be happy to do this – just make sure you discuss it with them beforehand as they may need to bring different equipment, such as a bigger backdrop. # TOP TIP: Make sure the colours, tones and style of the photo complement your brand and logo. Consider what you’re wearing and the background colour. Whether it’s printed marketing materials, a quote of the day or your latest offer, you can use your photo to personalise your message. 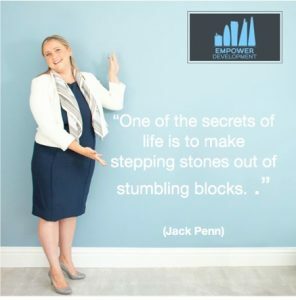 I love how Samantha Ridgewell from Empower Development uses a photo from our recent shoot for her inspirational daily quotes on social media. It’s also a nice touch to include your headshot in your newsletter. # TOP TIP: Facing towards your message will draw people’s attention to it. 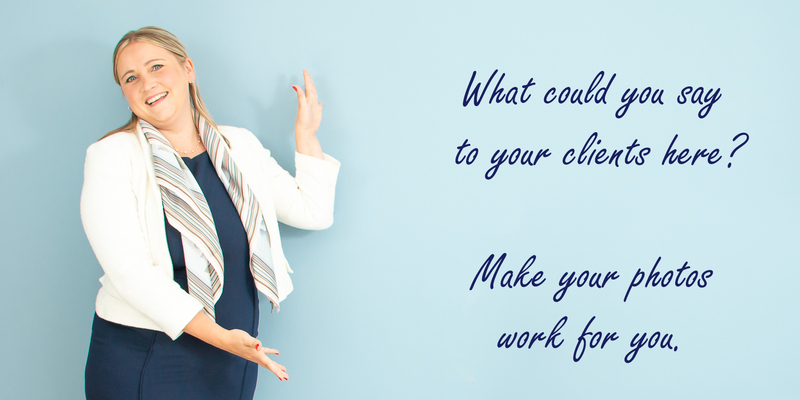 …once you’ve done all this thinking and planning for your shoot, make sure you share your thoughts with your headshot photographer – and they will probably have their own ideas too. You can find out more about my headshot service here and see some examples in my headshot portfolio. Or feel free to get in touch.